These Play-n-Fun boards innovated by Vinex are the ultimate tool for creative physical education and activities, due its unique features only offered by Vinex. The boards have transparent pockets on both sides for keeping pre-printed instructions or activity chart. These pockets support printer friendly sizes for convenience of the PE teacher / Instructor. Another unique feature of these boards is that it allows the PE teacher to use dry erasable marker over the boards when printed instructions are not available. The students can also use these boards for writing equations, solving mathematical problems, etc. It can be used both horizontally and vertically. 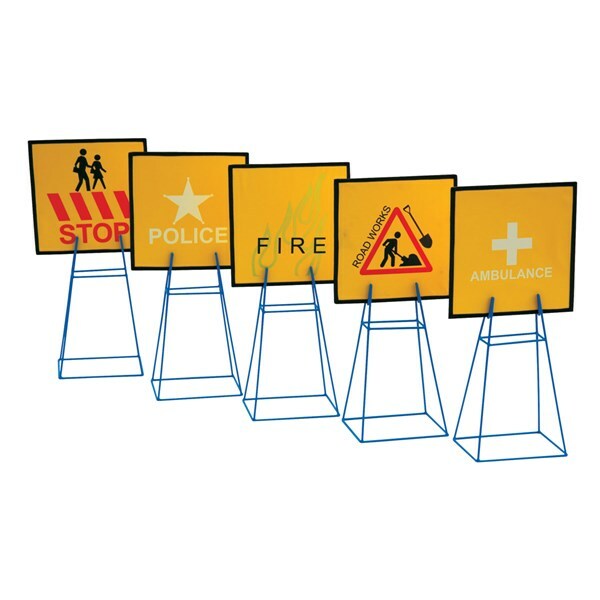 Play-n-Fun boards for teaching safety & emergency signs to the students / children by converting them into different activities. 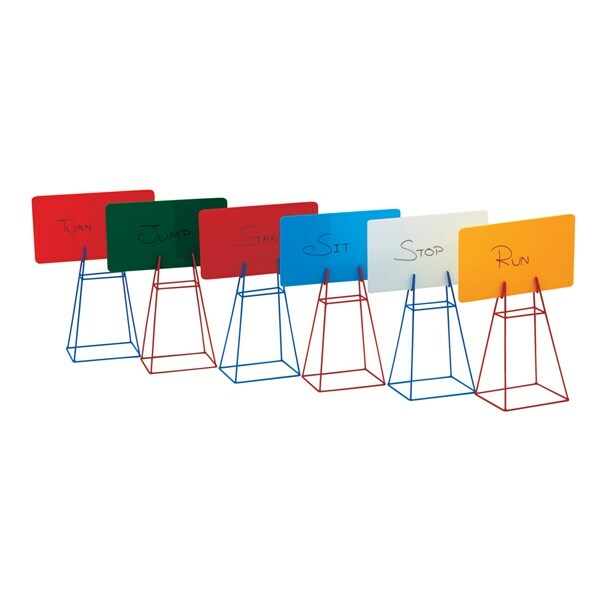 Kit includes 5 x Pre-printed PVC laminated fabric boards with 5 x stackable stands. 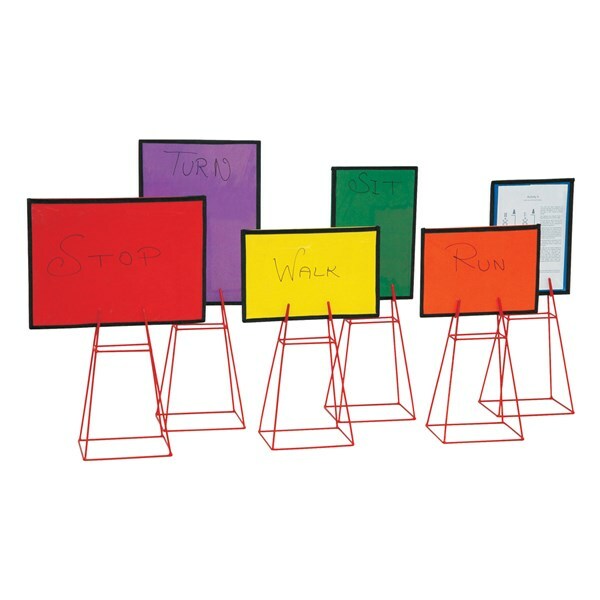 These Play-n-Fun boards innovated by Vinex are the ultimate tool for creative physical education and activities. A unique feature of these boards is that it allows the PE teacher to use dry erasable marker to write instructions for various activities. Available in assorted colours. 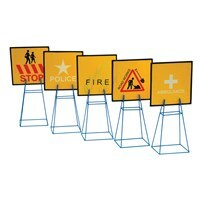 These can be customised as per requirement.